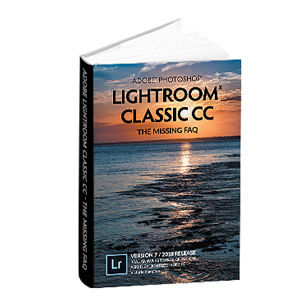 What's New in this Lightroom Release > Lightroom Classic Updates > What’s new in Lightroom CC 2015.5 and Lightroom 6.5? 24 hours on, some Mac users are reporting a permissions error message when launching Lightroom. When following the instructions in the tech note, ensure that you “Apply to enclosed items“. There’s also a bug with lens metadata not being added to the catalog on import. A fix is forthcoming and you won’t lose any data. Dust or sensor spots appear in the same place on every image, and retouching them individually can take a long time on a huge panorama. Until this release, any spot removal already applied to the source photos was ignored when merging. No more! Now you can fix your dust spots on one photo, sync the corrections to the other photos, and they’ll be applied during the merge process. One thing to note is that these spot corrections are ‘baked in’ to the resulting merged image data, so you can’t go back and edit them in the finished panorama. Other spots that only need to be removed on a single image are best left until the finished merged image is available. Other smaller updates are listed with the bug fixes at the bottom of the post. Click to view the full list of cameras supported for tethering. Note that tethering Leica cameras on Mac 10.11 El Capitan is still not working – it’s waiting on an update from Leica. Mobile sync is now faster thanks to a number of sync-related bug fixes. Fixed – Sync wasn’t automatically being logged in on first launch. Fixed – Rename failed if raw+jpeg pairs were copied to a second location. Fixed – The tethering toolbar wouldn’t move. Fixed – Import didn’t work if you weren’t signed in. Fixed – Scrolling through photos with the mouse in Loupe view was broken. Fixed – The video cache was not correctly limited to the size set in Preferences. Fixed – Certain dates couldn’t be entered in Edit Capture Time dialog. Fixed – Videos wouldn’t play on some systems. Improvement – Boundary Warp in Panorama Merge is improved. Fixed – Auto checkbox in Panorama Merge is removed as it always selected Spherical. Fixed – Merge failed when source photos were virtual copies. Fixed – Slideshow was displaying low resolution. Fixed – Impromptu slideshow gave error message “video support is disabled”. Fixed – Slideshow module wouldn’t work on some systems. Fixed – The scroll bars in the Book module have been reinstated. Thanks again for ALL that you do!!! I read The Missing FAQ daily…No lie! Thank you so much for the latest info on the updates. I never update until I check here first, I don’t want to revert version updates anymore. I learn so much from your book, thanks again. You’re welcome. Thankfully we seem to be back to a ‘normal’ level of bugs! I was looking forward to a bug-free-er LR, but once I installed 2015.5, it wouldn’t launch. Message about incorrect permissions (Mac OS X 10.5.5, MacBook Pro, 8 GB ram, plenty of space on HD). I did all the things Adobe recommended — sign out and in to CC, change some permissions manually (they were already fine), etc. No dice. For now, going back to 2015.4, but thinking seriously about Capture One. Update: I went backwards, for sure. After un-installing the problematic 2015.5, I found an installer for an older version (aspen trees on splash screen, build 1014445, couldn’t find a version number). Works like a charm. I suspect I’ll stay there for a while. Since Adobe seems to be doing this to us regularly, it would be nice if there were a place where all older versions of LR could be found. This is my second go-round of un-install and install in six months. That’s an odd one Lawrence. I haven’t seen any other reports. What happened when you tried to launch? When you check the permissions are correct, make sure you “apply to all enclosed items” as it could be a subfolder or file that’s causing the trouble. Hi Victoria, its funny because I did not receive the newsletter for the Lightroom CC 2015.5 and Lightroom 6.5 entry in your blog. Is this normal ? The newsletter will go out, probably later today. I put the blog post out on social media, but wanted to check there weren’t any massive bugs before I told everyone to upgrade! The “Secondary Window blocks mouse clicks even when closed after switching desktop spaces” was not just an issue with desktop spaces. It was a problem that emerged in Version 4. It would cause issues simply turning the secondary window on then off. Which was, as it happened, solved by turning it on and off again. I often used the secondary window in map mode and was plagued with the issue until I finally discovered a work around and the support thread. In any event it was a minor annoyance and seems to be rectified. All good now. That’s good to hear Greg! Alas I jumped the proverbial ordnance on this. After further testing it is still an issue. It may have been fixed for one scenario (still testing) but is definitely still an issue. Today I went into the map module, turned on the secondary window, off again. Then I had the same dead region as before across all modules. Resolved by toggling the secondary window as before. Rats! Make sure you post back on that thread so it gets followed up. But I dare say – unless you really need the update for a new Camara or Lens – the improvements in 6.5 don’t really register very high on the thrillometer … Sure there are some bug fixes but not for anything I needed. As alwasy before installing LR updates I do a full system backup of my C drive SSD – so if necessaty I can very easily revert in no time 😉 Data is on a separate disk. 2nd update: After un-installing the new LR and re-installing an old version, I decided to be brave this morning and upgrade LR back to 2015.5. Back to the same problem — a fatal permissions error. Here’s the solution that worked for me (on my elderly MacBook Pro, OS X 10.5.5, 8 GB RAM). lists 4 solutions. For me, #1 and 2 failed (even using the “Apply to enclosed” option. But #3 did the trick. In fact, I only had to chmod the first folder. That was the magic. And very easy to do. Good to know, thanks Lawrence. Wished someone else also could ask for native full XMP support in Search and Smart Collection and that all XMP metadata got saved to smp sidecar file … including custom Fields. Just seems to me unless you really need the update, “if it ain’t broke…” applies. I used to blindly apply every update. Not any more. Others feel the same? Absolutely… I teach a course in Lightroom and having something not work or launch at all is counterproductive to say the least. I just noticed that in the latest version (2015.5 on Win 7), the actual lens used is no longer being displayed *anywhere* in the Library module for newly imported images! Not in the thumbnail view options (if you just select lens model, it doesn’t show anything), not in the metadata panel. Rather unhelpful given how important this information is… It also breaks the smart collections I have set up that rely on lens data, as they no longer pick up any newly imported images. I’m flabbergasted. How can such basic stuff be missed in beta testing? Do they beta test at all nowadays? I’m not sure how that one slipped through either!! It’s obvious to me that we are the beta testers. That’s why I’m never in a hurry to install latest release. A lot of beta testing does go on before release, but the more complex Lightroom becomes, the more things there are to test, and the more likely bugs are going to get missed unfortunately. Using that thinking and given Adobe’s historical financial performance, I could just as easily argue that the more money Adobe makes, the more likely the bugs are going to be missed because that’s exactly what is happening. Two of the last four updates have caused problems with people launching the program and that’s inexcusable in my mind. I would be willing to bet that if you wrote a book with more information, you wouldn’t be caught dead saying that due to the increased information more mistakes were unfortunately going to be missed. Similarly, we shouldn’t be allowing Adobe weak excuses. Got to agree with Mike. There was a time that programers were extremely professional and made extensive testing scenarios to be followed in order to ensure the end product performed as intended. This has apparently gone away with the millennial generation. Nothing but quick, and not be held accountable for their efforts. What makes it worse is the justifying statements in support of this ‘less than professional’ approach. Permissions issues and missing lens data are fundamentals that should NEVER get to the outside for beta testing, let alone into a released product. Very disturbing. Yeah, that’s fair. I’d love to see them do a “bug fix only” major release, and really spend a year or so just focusing on getting everything as perfect as possible. The trouble is, then users complain there aren’t any new features. There was a thread on the bug forum on that topic just this week. It has to be a tough line to walk, but I’d certainly love to not have to write warnings in blog posts. I’m not as long term a user as some (started at v4), but seems to me things got worse when Adobe went to the cc model. Thoughts? Yeah, the fast turnaround and pressure to add new features to each update certainly has certainly let much bigger bugs escape. I think it actually started to get worse around LR4, when LR went from being a fairly streamlined tool in earlier versions to adding a lot of new features in LR4, but it used to be that the .0 release was a bit buggy and subsequent releases improved. With the major changes being added into dot releases now, there’s a lot more potential for issues with dot releases. I tend to agree that, no matter how much testing you do, some bugs are going to slip through the net – that’s a fact of life with software development and complicated applications such as LR. However, this is something that *should* have been picked up. It seems that none of the beta testers tried importing a Nikon file and checking it worked properly?? If so, there clearly isn’t enough beta testing going on before release, or alternatively, not enough people doing the testing. That’s too bad because I just bought myself a Nikon D750 and upgraded to perpetual 6.5. It appears to affect all Nikon raw files, regardless of whether they’re converted to DNG or left as NEF. Plugins (and everything else, e.g. presets, prefs) should remain untouched. Only annoyance I encountered was that my LR Mobile sync decided to re-sync everything (no idea why), which took a couple of hours to complete. I also had to remove and re-import all images imported into the catalogue since I “upgraded” to 2015.5 in order to get lens metadata to appear in the catalogue. This is worrying, as it implies that the metadata is being stripped out (permanently?) when importing Nikon raw files in 2015.5/6.5… Glad I caught this early and rolled back. Mark many thanks you for your comments. I did not import new images since I upgraded. I will have to look at the images in the catalogue for the images from the Sony camera if the information is there. I guess I have no choice to go back to 6.4 if I want the information from my new D750. A hot fix is in the works. Once it’s available simply writing the metadata to the problem files and reading it back should ‘fix’ any that are missing lens data. Thank you Victoria, I will wait for the hotfix instead of reinstalling. Good to know, mabye I won’ roll back this time. I realy want to like Lightroom, its features match my workflow pretty good. But sadly, Lightroom is becoming a bug-infested nightmare. Is there a new “bug” which is affecting the Library Filters? Since the update, the filters (I mostly use star ratings and colour coding) doesn’t seem to stick the each individual library folder, as it used to. I haven’t heard of one. It’s possible that your preferences became corrupted, and you haven’t rechecked the File menu > Lock Filters and File menu > Remember Each Source’s Filters Separately. That was it. I had a feeling something had gone wrong with my preferences, as many things had been reset to default settings (identity plate, solo mode, just to name a few). Now that I look at it carefully, it seems everything was reset. First of all, I noticed that there’s also a CC-version of Lightroom now, correct me if I’m wrong. But what’s different about that? 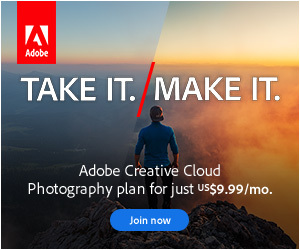 Is that part of the subscription-based Adobe software? Which I’m guessing means that the other version is a standalone product. Then, I’m still using version 5.4. If I’d move to 6.x, would I lose anything or need to convert anything, or will I simply be able to open a catalog I’ve made in 5? – Because it was a bit of a different story between 3 or 4 and 5. Perhaps they’ve changed that now. And finally, possibly the most important thing for me; I’ve read that there’s a performance-update, such as letting Lightroom rely on your videocard now. I have a good videocard and all that, but does it make a significant different? Because the main reason I’m looking into moving to the latest version is because I’m tired of it just lagging once I do something a little heavier such as using the Adjustment Brush and using more than 1 “layer” of that. Cause I’ve come to a point that when I have 2-3 or more layers of it, and then try to change a very basic setting such as white balance, it would take about 10 seconds for the image to update. That’s no way of working. And I have a decent CPU. I can do anything from pretty significant audio and video editing (like with Vegas, which isn’t exactly light on your system), and videogames (although that relies on the GPU a lot), but once I get more in-depth with Lightroom it just hogs the CPU and eventually it grinds to a halt. I would probably be better off with a better CPU, maybe (if that would actually make a difference), but that won’t happen for a while. So, please let me know of these things so I could perhaps improve my experience with Lightroom. It’s pretty good, but the performance… It’s killing my workflow and productivity. Do you also see videos throughout my comments?… What’s with that?… I didn’t do that! I can! Figuring out now…. Phew! Turned out to be a WordPress Jetpack plugin bug. When you open your LR5 catalog into LRCC or LR6, it will ask permission to upgrade the catalog and you just say yes. Very easy. Just be aware that you won’t be able to open the upgraded catalog into LR5 (e.g. if you’re using an LR6 trial), but it doesn’t change the original version. The new GPU feature makes the most difference on high resolution screens, so YMMV. You could watch the Resource Monitor (I assume you’re Windows?) and see if you’re maxing out the CPU or RAM too. I’d recommend making sure you have the latest GPU drivers from the manufacturer’s website (not just Windows Update) and then try the trial of LRCC and check you’re happy with the performance. Just ‘play’ in the upgraded catalog, rather than doing serious work, just in case you decide to carry on using your LR5 catalog. Ah, I see. Well, I don’t care about getting early access, so that’s OK. So there’s nothing like new “processing” or something like that between 5 and 6 that might change things? I always just worry about all my tweaks or the results being changed. And yes, my CPU definitely maxes out when I use the Adjustment Brush for example. I have enough RAM with 8GB for what I’m doing though. And I do have the latest drivers, because I use the GPU for videogames as well. Don’t worry, I’m on top of all that. But I know my CPU is probably lacking. It holds up, even for 5-6 years old, and it has the advantage that it overclocks well. But the overall processing could be better for Lightroom. I guess I’ll test with the trial some time. No, no change of process versions to worry about. YMMV means your mileage may vary. With a 5-6 year old CPU, I’d bet that’s your bottleneck. You have to remember that Lightroom is running a series of text instructions every time you make a change, which is particularly noticeable with sliders that build masks (e.g. shadows/highlights) and local adjustments (particularly the brush and spot removal).